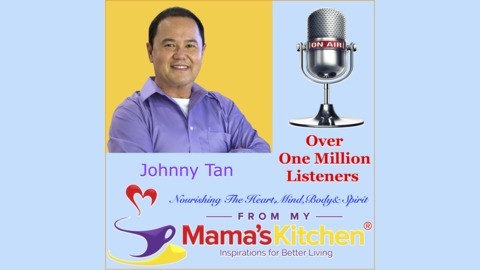 From My Mama’s Kitchen® Talk Radio is based on the best selling and multi-award winning book - From My Mama’s Kitchen – “food for the soul, recipes for living.” The book reveals 30 timeless recipes for living, ranging from the power of relationships to the nature of love and the meaning of life. Released with the endorsement of the National Association of Mothers’ Centers, the book has won five awards: Mom's Choice Awards, Mr. Dad Seal of Recognition, Publisher's Choice Awards by Family Magazine Group, International Book Awards, and National Indie Excellence Book Awards. The book also made the Amazon Best Seller List in the following categories: Parenting & Family Relationships - Parent and Adult Child, Self Help - Health, Mind & Body - Spiritual and Motivational, and Cooking, Food & Wine - Essay. FMMK Talk Radio serves as a resource center for everyone by bringing motivational, inspirational, and spiritual stories from ordinary people performing extraordinary feats to instill a positive attitude in our global community. Guests have included The New Times #1 best selling authors, as well as experts in the field of personal and professional growth and relationships, and internationally known artists. 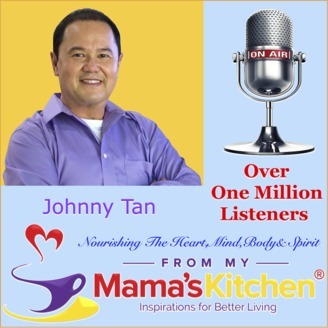 Johnny’s desire is to serve and enrich humanity with engaging inspirational messages, and best practices delivered through his books, FMMK Talk Radio show, inspirational signs, workshops, and keynote presentations. His vision is personal success begins at home. If you have a comment about the show or would like to be a guest on the show, please email us at host@fmmktalkradio.com. Ever wonder how successful people designed their life? The answer is in the subconscious power we all possess. In her newly released book, SUBCONSCIOUS POWER: Use Your Inner Mind to Create the Life You’ve Always Wanted, Kimberly Friedmutter, CHt shares the secret to navigating life’s hurdles and achieving your highest goals and deepest desires, and the techniques she has shared with stars and political power-brokers. Drawing on her rigorous training in hypnosis and neurolinguistic programming (NLP), as well as her own incredible life—from launching an international modeling career at age 14 to marrying a world-renowned architect and designer, and applying her mystical gifts to help the famous and influential, Kimberly shows everyone how to tap into the source within them for the creativity and courage to achieve positive, lasting change and live the great, big, marvelous life of their dreams. Kimberly Friedmutter, CHt is a world renowned board-certified hypnotherapist, who works with some of Hollywood’s best-known luminaries, titans of industry, and leaders from around the globe. She is a member at large of the prestigious UCLA Health System Board, the American Board of Hypnotherapy, the Association for Integrative Psychology, and the International Hypnosis Federation Kimberly is also a certified master hypnotist and a certified neurolinguistic programming trainer. Join Kimberly Friedmutter and me on Tuesday, April 16, 10-11 A.M. CT US. We will be having a conversation about her life’s journey, her newly released book, SUBCONSCIOUS POWER, and simple exercises you can do to immediately improve your life.